This is your place to find articles I feature on getting fitter after age 50, plus links to valuable information on fitness after age 50 and other issues we all face as we move to the next phase of our lives. 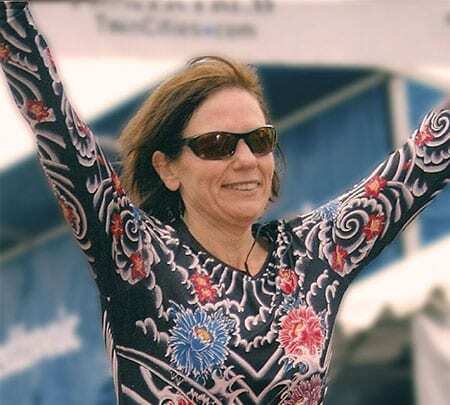 Please remember that although I am a certified running and triathlon coach, I am not a medical expert or nor do I know the history or specific needs of everyone who visits fitterafter50.com. These tips are based on my coaching expertise, personal experience and the experiences of people I train with and coach. Be sure to consult your coach, nutritionist or physician if you have specific issues. The benefits of exercise are well known. Two new studies confirm that even a modest amount of regular exercise could increase your longevity. Joe Friel is a well known and highly regarded triathlon coach who has trained endurance athletes since 1980. Now over 70, Friel has written a book containing his recommendations for training for performance after age 50. Next Avenue is a service created by select PBS stations to provide people over 50 information on the new life stage that lies somewhere between young adulthood and “old-old” adulthood and explore the many possibilities available as they navigate the physical, health, work, and financial shifts that inevitably accompany this phase. The Transition Network is an inclusive community of professional women, 50 and forward, whose changing life situations lead them to seek new connections, resources, and opportunities. Encore.org is building a movement to tap the skills and experience of those in midlife and beyond to improve communities and the world. Blue Zones is dedicated to helping people live longer, better lives. What began as a National Geographic expedition to find the longest living cultures evolved into a recipe for living longer. Of the 4 links only the Transitions Network one works. I think you have an error in the linking since you have an extra “http://” before the address for the other 3. Thanks, Ajit! Hopefully I can get that fixed!